– Olympic writer Alan Abrahamson writing about the Nick Symmonds – USATF battle. Abrahamson counters Symmonds’ and Andrew Zimabalist‘s claim that the non-profit USATF only spends 8% on its athletes. What are Symmonds Legal Options to be Put on Team? MB: The IAAF Drops The Hammer – 28 Athletes Busted From Re-Test Of Samples From 2005 And 2007 World Champs! Track and field takes a lot of criticism for drugs but we don’t know of any other sport that goes after cheats 8-10 years after the fact. MLB (baseball) only started drug bans in 2004 and in 2005 a first ban resulted in a 10-day suspension. 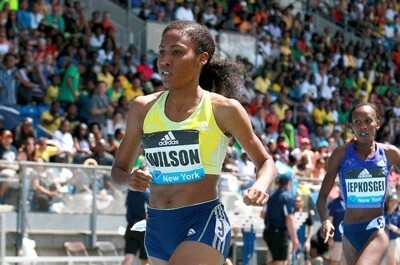 LRC America’s Best Hope For A Mid-D Or Distance Gold, Ajee Wilson, Withdraws From 2015 IAAF World Championships It’s revealed that Wilson, who hasn’t raced since USAs, has been suffering from an injury since before USAs. Australia Names Team Of 42 For Worlds They may add more in the coming days. IAAF Accuse London Marathon Chief Nick Bitel Of Being “Outrageous And Insulting” Bitel had accused the IAAF of failing “to take effective action” and the IAAF came back with a harsh response of their own. Sapstead Wants All Countries To Have High Level Of Drug Testing Testing definitely is not equal worldwide and some countries don’t even implement the biological passport. Lauren Johnson Talks About How She Dove Her Way Onto The USA World Team Johnson had made a huge breakthrough this year, bringing her PR down by over 6 seconds to 4:04.17. 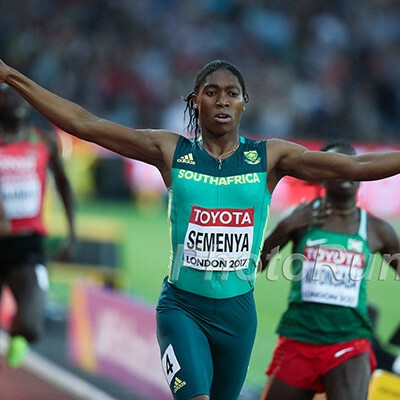 Sport24: “Caster Semenya Ready To Show Her Old Rivals Her Heels” she says she’s in “good shape” and is “just happy to have qualified.” Asked about the recent doping allegations against Russian mid-d runners, Semenya had no comment. 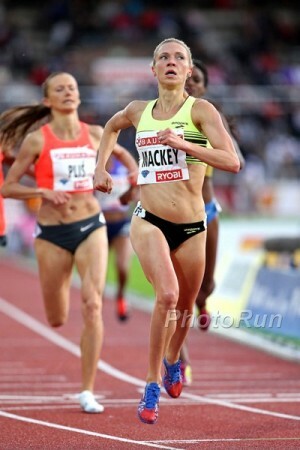 Will Blanka Vlasic Be Able To Make Up For Her Olympic Defeat In Her Return To Beijing? In 2008 she had an agonizing defeat as she lost Olympic gold on countback. 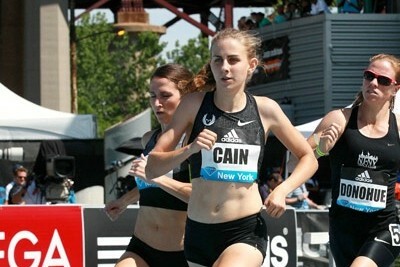 She hasn’t competed since June, but her agent says she’s ready. IAAF Personal Bests Q&A With UK Sprinter Martyn Rooney Rooney says his biggest weakness is chocolate and the best athlete he’s ever seen is David Rudisha. *PDF Of Contract USATF Wanted Nick To Sign Note it has the word “official” in “‘official’ team functions” in quotes. Something is official or it is not. Yet it doesn’t outline what an official team function is – bizarre. *MB Talk: What if Symmonds is just out of shape? Previous Nick Symmonds Explains Why He Won’t Sign USATF’s Contract And How He Was “Bullied And Threatened” At World Indoors For Not Wearing USA Gear According to Symmonds, USATF wants to control what athletes wear to coffee. 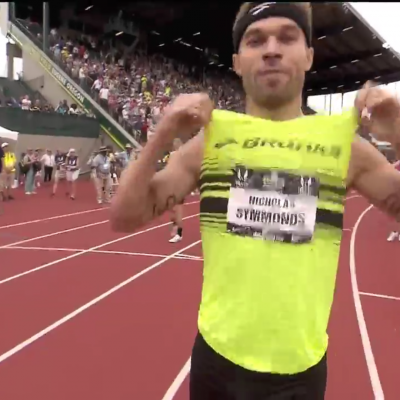 What if Symmonds is just out of shape? When Symmonds stays home who else goes? Pan Am champ Clayton Murphy is the alternate. 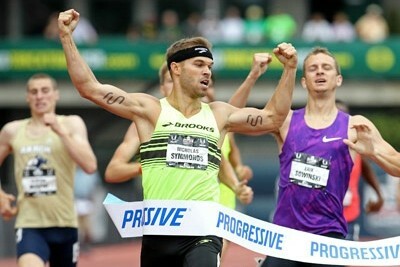 Anyone else think Symmonds is trying too hard to be like Prefontaine? 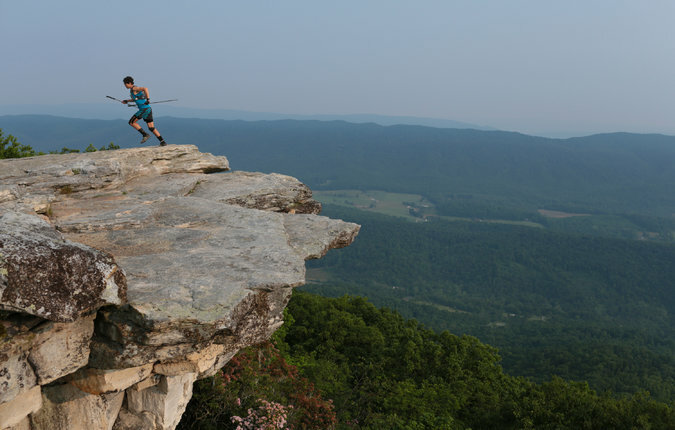 NY Times: A Real Adventure: Sorting Out All The F.K.T.s (Fastest Known Times) Scott Jurek’s Appalachian Trail record is just one of the hundreds of “official” “unofficial” records out there. “Skyrunning”: When Trail, Mountain And Ultra Running Aren’t Enough Skyrunning is a combination of running and mountaineering. As an example, one of the sport’s biggest names, Kilian Jornet, is going to try to set a speed record climbing Mount Everest in 24 to 48 hours. Flotrack Throwdown: Peter Callahan Upsets Mile Field In 3:58.43 As Galen Rupp Finishes Way Back In 4th (4:00.45) Canada’s Fiona Benson dominated the women’s mile in 4:25.79, finishing almost 5 seconds in front of Gabe Grunewald (4:30.43). 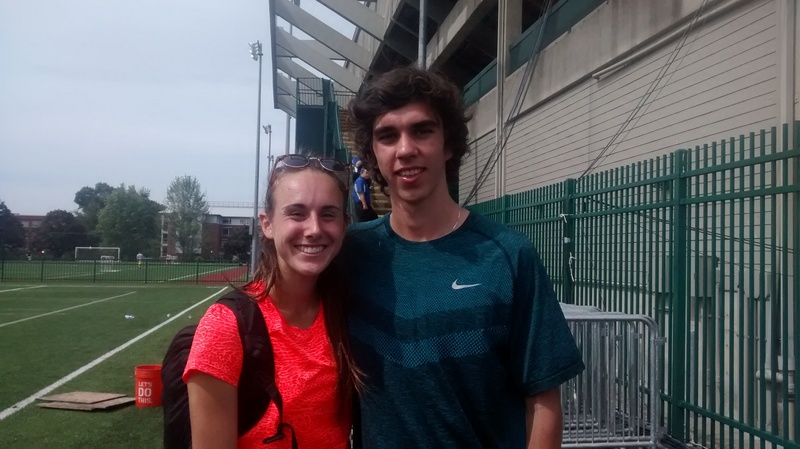 The 800s went to Duane Solomon (1:46.84) and Maggie Vessey (2:00.30). Deon Lendore won the 400 in 45.77 as Nick Symmonds was last in 48.53. Poland Throws Meet Recap: World Champ Pawel Fajdek Sets Hammer NR With 83.93m In non-throws action, Adam Kszczot ran 1:44.67 to beat 800m rival Marcin Lewandowski. Eight Sports Make Pitches For Spot At 2020 Tokyo Olympics The sports are baseball and softball, squash, surfing, bowling, roller sports, sport climbing, and wushu. LRC Nick Symmonds Explains Why He Won’t Sign USATF’s Contract And How He Was “Bullied And Threatened” At World Indoors For Not Wearing USA Gear According to Symmonds, USATF wants to control what athletes wear to coffee. Recommended Read: Stanford 400 Hurdler Daniel Brady Follows Family Legacy Of Overcoming Hardships Which Started With His Grandfather Surviving A Nazi Concentration Camp During WWII Despite suffering balance issues earlier in the year after going deaf in one ear, Brady made a comeback to medal for Canada at the Pan Am Junior Championships. Read about Brady’s season as well as how his inspirational grandfather survived the horrors of the Holocaust. FIFA World Cup Winner And Arsenal Midfielder Mesut Ozil Is A Track Fan His favorite events are sprints. Before we start our World Championships previews, we thought it would be a good idea to take a step back and look big picture at what has transpired so far this year in the world of track and field. There have been a lot of amazing developments so far in 2015. We list five events that if we’d predicted them at the beginning of the year, you’d have said we were TOTALLY crazy. Galen Rupp Is Racing The Mile At The Flotrack Throwdown Meet To Work On His Kick” Rupp: “I’ve got all the faith in the world right now in my strength. It’s really about working on my speed …” The meet is being held at a track for recreational runners and Alberto Salazar thinks it’s up to 3 seconds slower than a normal track. Kevin Liao: “Sir Walter Miler, Flotrack Throwdown Redefine Fan-Friendly Track And Field” The two meets this weekend try to cater to the non-die hard track fan. Star Studded Fields Announced For Zurich DL Meet On September 3rd Including Evan Jager Vs. Jarius Birech Rematch In The Steeple Conseslus Kipruto will also race as the women’s 800 has Eunice Sum, Ajee Wilson, Cuba’s Rose Mary Almanza and Switzerland’s Selina Buchel. Mutaz Essa Barshim, Ivan Ukhov and Bohdan Bondarenko in the HJ. 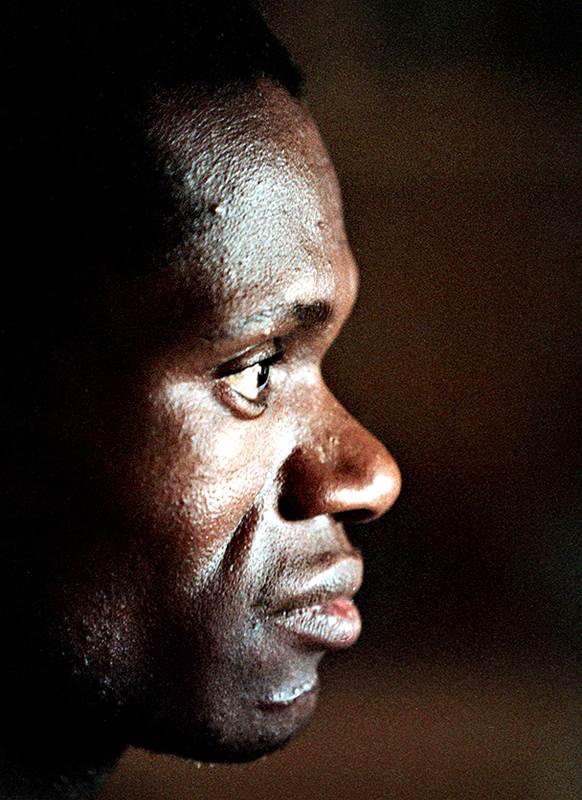 Recommended / Must Read ESPN/Mike Wise: Once Lauded By Nelson Mandela, 1996 Olympic Marathon Gold Medalist Josia Thugwane Has Been Forgotten By South Africa Thugwane grew up extremely poor and illiterate. Just 5 months before the Games, he was shot in the face. 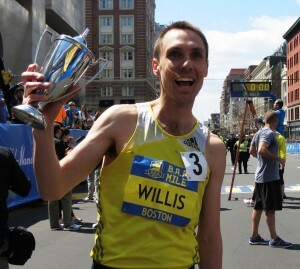 In Atlanta, he won gold in marathon #19 despite having only a 2:11 PR. As for Apartheid, he understood it as follows: “The white people have money. The black people are to work [for] the white people. I don’t know whether this is wrong thing.” We are calling this a must read for anyone under 30 as they may have never heard of Thugwane. Must Read: IAAF Issues Statement And Strongly Rejects Anti-Doping Allegations Of A Cover-Up – “(Both) ARD and The Sunday Times both admit that their evaluation of the data did not prove doping.” The IAAF says there is nothing close to a cover-up. 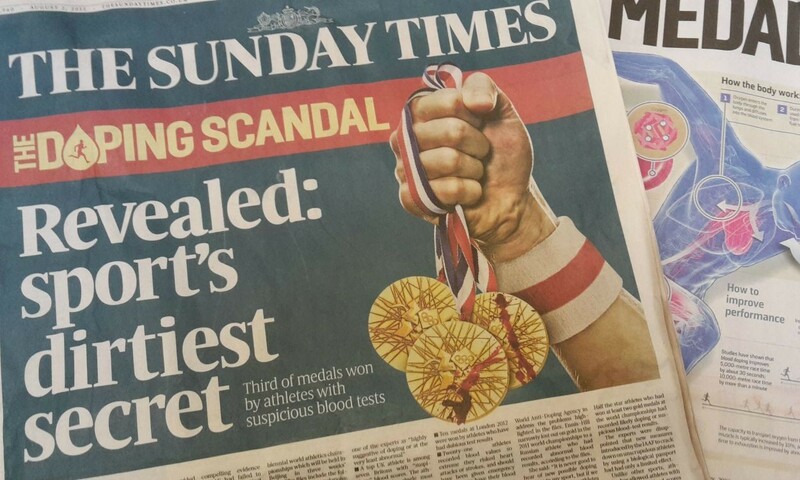 The Sunday Times claims six athletes tests were covered up when in fact the IAAF says they targeted all six for most testing and banned them. Additionally, the IAAF says the data in the report isn’t a “scoop” as they themselves turned it over to scientists who used it for a study in a peer reviewed journal. Also most of the data was before 2009 when athletes couldn’t be banned as there was no Biological Passport. WADA Confirms That Leaked Athletics Database Does Not Originate From WADA Its Biological Passport system only started in 2009 and most of the stuff predates that. 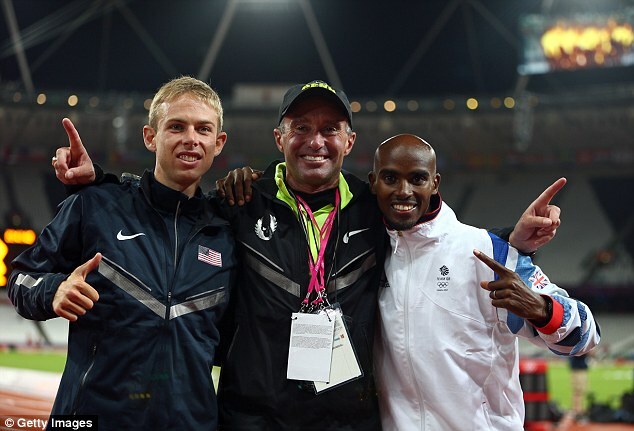 Report Saying UK Athletics Set To Split With Alberto Salazar After Worlds In Reaction To Doping Allegations They will apparently also advise Mo Farah to leave Salazar as well. After Quiet Summer, Dathan Ritzenhein Eyes “3 Or 4” Races Before Olympic Marathon Trials In February The Trials race is his sole focus and he doesn’t have any definitive racing plans yet for the fall. 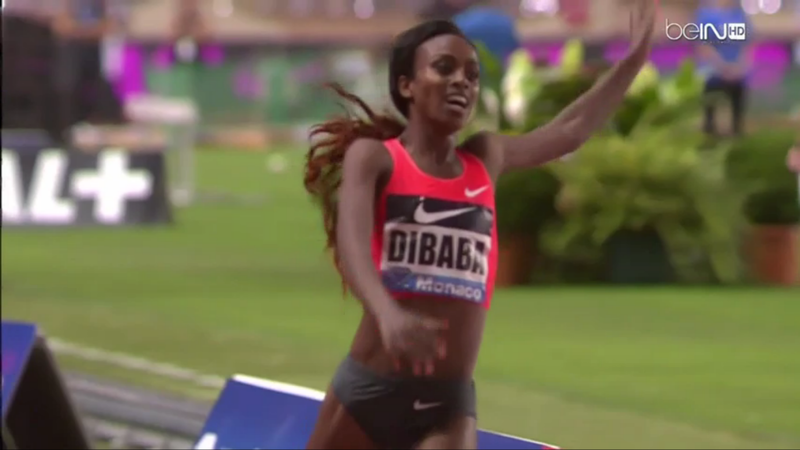 Q&A With Genzebe Dibaba On Her 1,500 WR Dibaba knew she was in shape to go after the 1,500 WR when she was training for the 5,000 and ran a 6 x 800m workout with 5 reps in the low 2:0x-range and then 1:58 for the last one. Oh, To Be Talented: Aussie Steepler Madeline Heiner Went Away From The Sport And Hardly Ran For Eight Years; Now She’s Going To Worlds Only seven months after returning to running, she finished 4th at the Commonwealth Games and now she’s run 9:21 and is ranked 12th in the world. Team USA Cleans Up At Pan Am Juniors, Taking 9 Of 10 Distance Gold Medals The US won 18 medals total as sub-4 high schooler Matthew Maton took the 5,000 in 14:20, closing in a 61-second last lap. DyeStat Highlights Vashti Cunningham won the women’s HJ, setting the AJR (and HS record) at 6-5. Noah Lyles ran a very wind-aided 10.07 in the semis and then got silver in the final with 10.18; Cuba’s Reyneir Mena won in 10.17. USATF Junior Olympics: Champions Crowned As JOs Come To A Close *Sat. Recap *Fri.
5 thoughts and highlights from the Kenyan Trials as Asbel Kiprop gets in some showboating practice + some really fast times by Geoffrey Kamworor and Faith Kipyegon and a loss by David Rudisha. 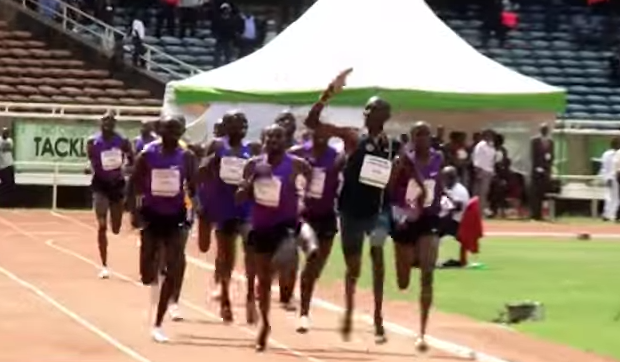 MB: Geofrey Kipsang Kamworor Wins 10k In 27:11 At Altitude! David Rudisha Beaten By Ferguson Rotich, Jarius Birech Wins The Steeple + More Bernard Lagat‘s sister Violah has made the WC team. Geoffrey Kamworor Runs Unbelievable 27:11 At Altitude To Win 10k Kamworor says they will try to use team tactics to beat Mo Farah at Worlds. Ferguson Rotich Hands David Rudisha His 1st Loss Ever On Kenyan Soil, Asbel Kiprop Wins So Convincingly He Has Time To Salute Kenya’s Head Of State Eunice Sum wins 800 and mentions Ajee Wilson as someone she needs to watch out for in Beijing. 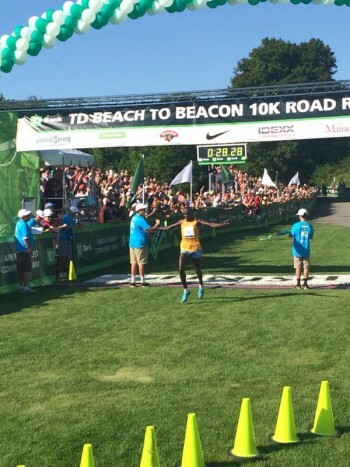 Faith Kipyegon wins 1,500 over Mercy Cherono. Day 1: Former Double World Champ Vivian Cheruiyot Wins Kenyan World Trials 10,000 To Punch Her Ticket To Beijing Finishing one second behind Cheruiyot to secure a spot for Worlds was former NCAA champ Betsy Saina. Commonwealth champ Joyce Chepkirui was 3rd and World XC champ Agnes Tirop 5th. OTC’s Sally Kipyego was a DNF. USATF Statement And Data On Elite Athlete Spending: USATF Will Spend More Than 50% Of Its Budget And More Than $15 Million On Elite Athletes In 2015 USATF dismisses claims by Andrew Zimbalist and Nick Symmonds that it only spends 8% of its revenues on elites by showing you spreadsheets of where the $15 million goes. $5 million directly to the athletes, $7 million to high performance centers and $3 million for athlete costs. Symmonds Blogs In The Huffington Post About How USATF Financially Shorts Athletes He cites a study saying USATF only gives 8% of its revenues to USATF. After A Long Hiatus From The Top, 2011 Double World Champ Vivian Cheruiyot Is Back Eyeing A Return To The Podium Cheruiyot talks about how she was disappointed not to win gold in London 2012, so decided to take a break to start her family with the long-term plan in place to be back at the top by 2016. 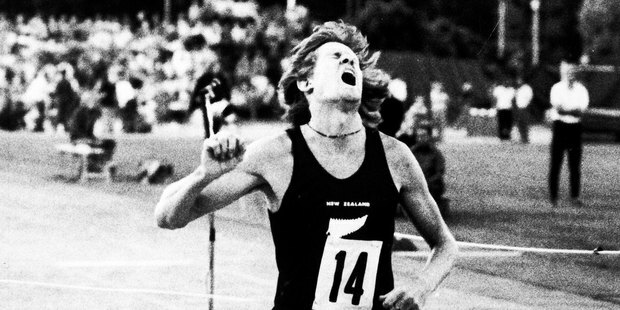 NZ Herald Looks Back At John Walker’s Amazing Time Trial Run From 1975 When He Became The First Man To Run Under 3:50 It was a race that Walker almost didn’t run as the he didn’t like the Gothenburg stadium and the meet originally was running a 1,500, not the mile. 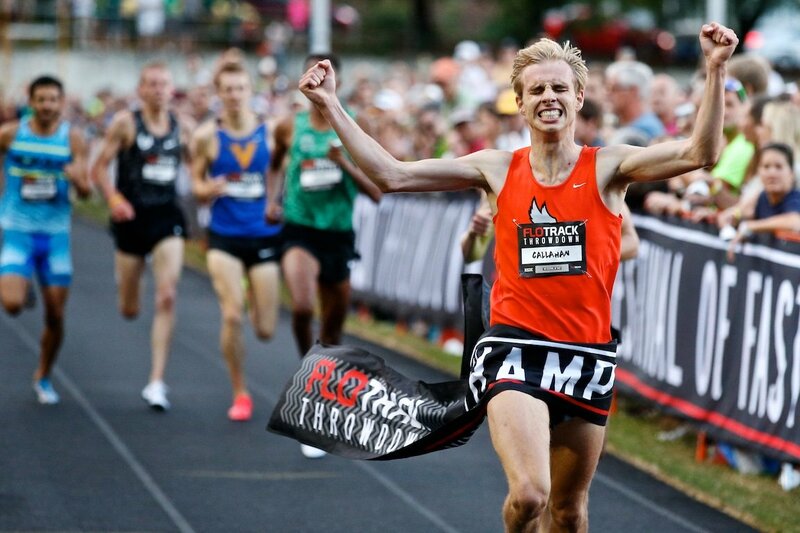 MB: Former NCAA Indoor Mile Champion Miles Batty Officially Done With Track (Possibly Longer Races) He says he’s now moving on to med school and maybe road racing. Recommended: Eight UK Athletes, Including Mo Farah, Release Their Blood Data To The Public The Sunday Times got permission to publish and graphed the “off-scores” for eight GB athletes. You can look at their values graphed in comparison to known drug cheats Liliya Shobukhova and Abderrahim Goumri. A good first step towards transparency. 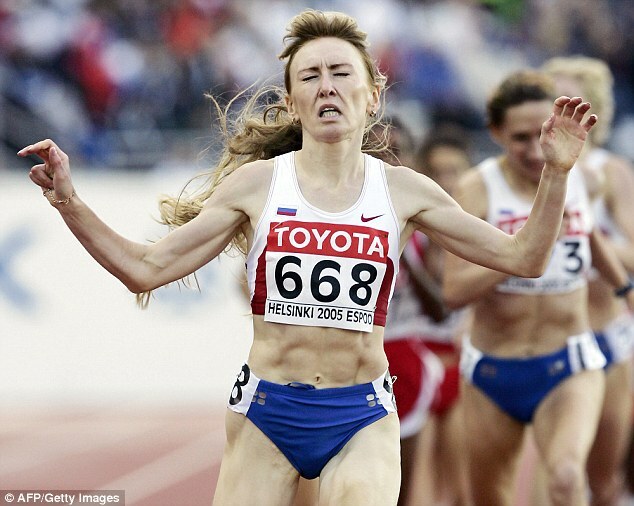 IAAF Insider Reporting A “Significant” Number Of “Major” Names, Including Russian Double World Champ Tatyana Tomashova, Will Be Exposed And Stripped Of Medals Tomashova and three other Russian mid-d runners (Olga Yegorova, Yelena Soboleva and Yuliya Fomenko) were caught using someone else’s urine in 2008 and banned, but now are set to be retroactively banned from re-tests of samples from 2005 Worlds. *MB: Multiple Big name drug busts next week! The Sunday Times Says The London Marathon Was Won 7 Times In 12 Years By Athletes With Suspicious Blood Values 34 big city marathons winners (1 in 4) had suspicious values. Latest Conspiracy Theory: Was Banned Jamaican Sprinter Steve Mullings Sabotaged By The JAAA? Mullings received a lifetime ban after failing a second drug test in 2011, but says that he was sabotaged and even that “there are people who are plotting against my life in order to keep me silent.” Now an anonymous letter from an alleged JAAA insider is backing his claim. 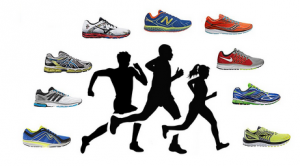 Good Read: OC Register: Nike Promotes – And Undermines – US Track And Field What would Bill Bowerman or Steve Prefontaine think of Nike today? What was once “the rebel company that shook the powers that be” is now the one that takes away athletes’ rights rather than fighting for them. 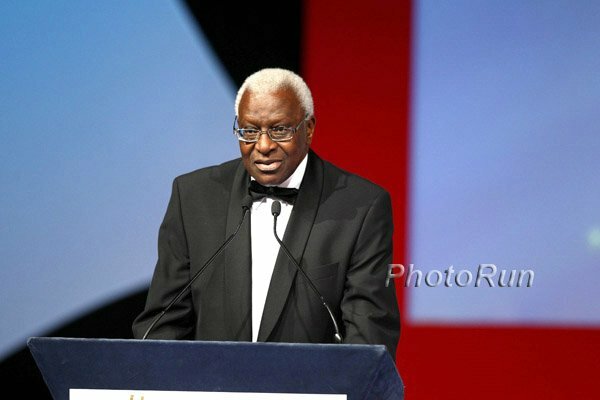 IAAF “Warmly Welcomes” WADA Statement Concerning Blood Data; Agrees To “Fully Co-Operate” With WADA Analysis Of Data WADA officials said they “deplore” the method the blood data was obtained and reiterated that values from before 2009 could not be used to determine doping and that one suspicious value doesn’t necessarily prove doping. British Athletics Warns Athletes Not To Reveal Their Blood Data Athletes have been approached by media asking permission for their values from the leaked IAAF database to be shared. US Sprint Coach Bob Kersee Thinks International Drug Testing Is Unfair Athletes like Allyson Felix are tested all the time, but some foreign athletes he coaches don’t get tested at all. It makes sense that better athletes will be tested more, but it is a problem that not every country has strict testing like USADA. 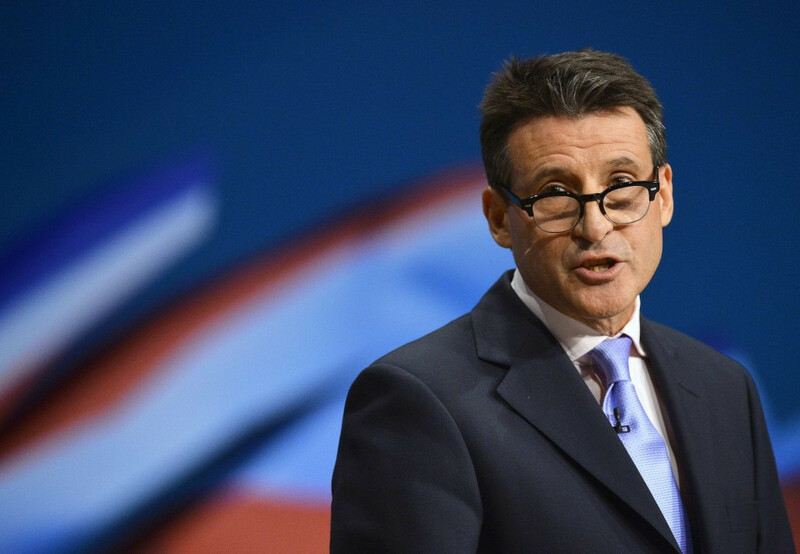 UK Writer: “Seb Coe Is Picking His Fights With The Wrong People – They’re On His Side” Writer accuses Coe of purposely going to “war” with ARD and The Sunday Times to help his campaign for IAAF president. Nick Symmonds-USATF Controversy Makes NY Times (link fixed) USATF has screwed up again and the NY Times is now on the story. USATF wants all World Championships team members not to bring branded non-Nike gear to Worlds to wear even casually in the hotel. 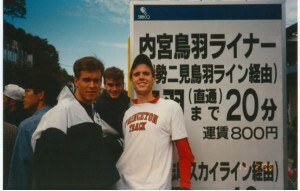 Nick won’t sign the contract USATF wants him to sign that does not define what a team event is. 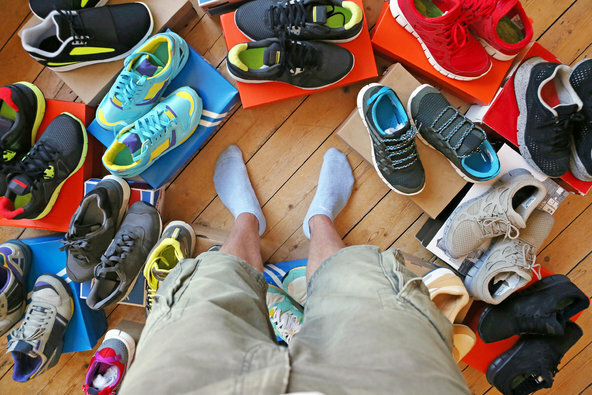 If he does not sign it by Sunday, USATF’s Jill Geer says he “will not be on the team.” Imagine if USABasketball told Lebron that he couldn’t wear Nike gear in a hotel and had to wear adidas gear. USATF is getting negative publicity once again. Discuss: Victor Conte Says USADA Probe Of Alberto Salazar Needs To Include An Investigation Of Nike, John Smith And Mo Greene 2nd part in a series from Ed Odeven in Japan Times. All her results since 2009 have been disqualified by the IAAF. London Marathon Will Attempt To Recover Prize Money And Appearance Fees Paid To Shobukhova Any recovered money will be used to pay athletes reallocated prize money. Jamaica Waiting Until The Last Possible Day To Name Their Team For Worlds To Give Athletes A Chance To Get Qualifying Marks Many will compete at the NACAC Champs this weekend. Good on Jamaica for trying to bring as many of their athletes as they can. The UK and Canada could learn something from them. Jumpers Provide The Highlights At Russian National Champs Olympic champ Anna Chicherova won the HJ in 2.00m to beat world indoor champ Maria Kuchina (1.97m). There was a surprise in the men’s 800 as 19-year-old Konstantin Tolokonnikov won in 1:45.76. 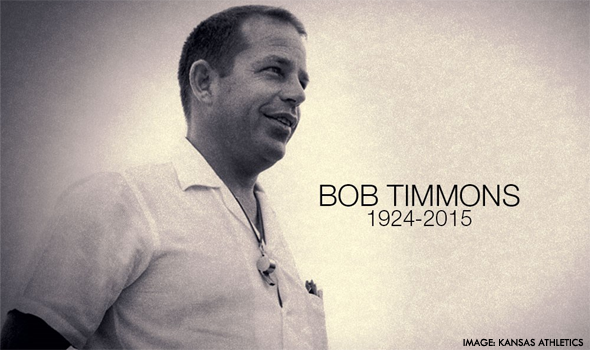 Remembering USTFCCCA Hall Of Fame Coach Bob Timmons (1924-2015): U.S. Track & Field And Cross-Country Coaches Association (USTFCCCA) Most noted for his work with Jim Ryun. *KU Tribute To Timmons Includes photo slide show. 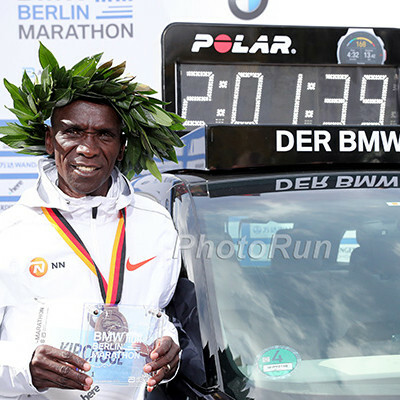 Eliud Kipchoge: “Those athletes whom I know and those who are near me … They are clean.” The Sunday Times said 18 of Kenya’s medals between 2001 and 2012 were won by people with suspicious blood values. Caster Semenya appears to be on the way back, the Brooks Beasts now have one more Diamond League win by Americans than the Nike Oregon Project and Bowerman Track Club combined, and the USA dominated World Juniors. Plus if you missed it, we've got links to the Kenyan champs and Stockholm, and we don't know what to say about the doping report yet. New Doping Allegations May Delay Completion Of WADA Commission Investigation Craig Reedie hoped the report on the original documentary would be finished in September, but it will likely take longer now. UK 400 Runner Martyn Rooney Wins Individual Place For Worlds After Making Appeal To UKA He was already going in the 4 x 400, so maybe they figured they didn’t need to buy another plane ticket. IAAF: Marco Fassinotti And Gianmarco Tamberi Lead Italy Into Golden Age Of High Jumping Before this summer only one Italian athlete had ever won a Diamond League competition, but at the London Anniversary Games these two finished 1-2. *MB: Nick Willis and John Walker say it like it is. Wada President Sir Craig Reedie: “Wada is very disturbed by these new allegations …” He said the case would be handed over to an independent commission for investigation. Anyone else actually encouraged by Times of London/ARD Doping Report? 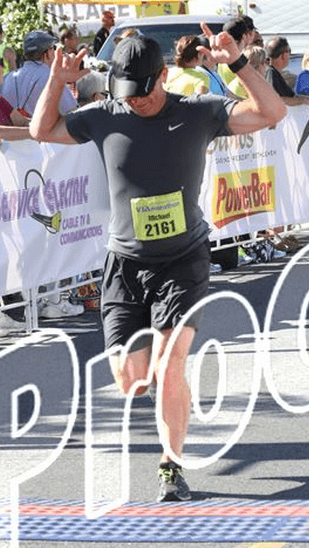 LRC Book Review Of Once a Runner Prequel Racing the Rain By John L. Parker, Jr. – “It works and has the potential to draw a new audience into Once a Runner.” Racing the Rain isn’t about Quenton Cassidy‘s development as a runner, but rather his development into a runner. The novel opens by introducing a second-grade Cassidy and concludes with the miler moving into his familiar room in Southeastern University’s Doobey Hall. In between, Parker’s sharp prose richly describes what it was like to grow up a middle-class baby boomer on Florida’s Gold Coast. LRC Book Review: How to Race the Mile By Jeff Hollobaugh – “A terrific resource for younger runners.” And “… also a great read for even the expert fan.” We recommend the book, which is a comprehensive look at the mile from the 19th century to the present and is full of rich race histories. Day 3: Andy Bayer / Stanley Kebenei And Ashley Higginson / Shalaya Kipp Go 1-2 In Steeple At NACAC Champs Ryan Martin and Clayton Murphy were 1-2 in the 800 as Chanelle Price (800) and Kellyn Taylor (5,000) also got gold. Overall, Team USA took home 47 medals (27 gold). 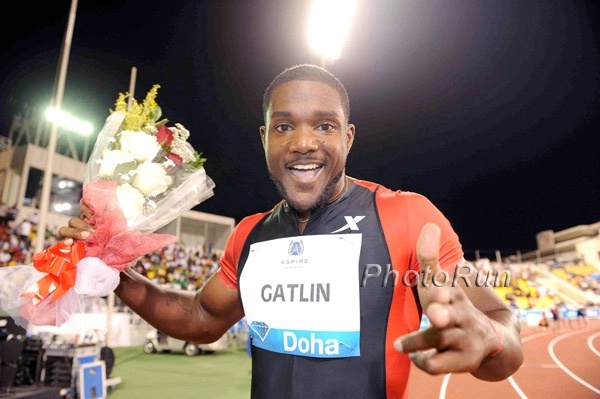 IAAF: Jamaica’s Rasheed Dwyer Highlights With 20.12 200m Victory Javier Culson had a dominant win in the 400H. Day 2: Andrew Wheating (1,500) And Lopez Lomong (5,000) Lead 9 Golds For Team USA Wheating beat out US’s Daniel Winn by .35 seconds to get the gold while in the women’s 1,500, Rachel Schneider and Shelby Houlihan also went 1-2 for Team USA. Lolo Jones won the 100H in 12.63 as Barbara Pierre won the 100 (11.12). MB: Crazy men’s pole vault final at NACAC. 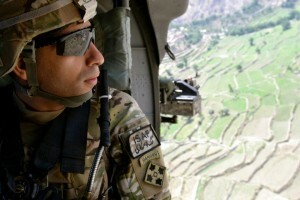 Everyone, including both U.S, no-heighted except for 1 guy from El Salvador! Day 1: Team USA Earns 9 Medals After First Day Of NACAC Champs Clayton Murphy and Ryan Martin both won their 800 heats as did Chanelle Price. Throwers Win Gold During First Morning Session Lolo Jones had the fastest time in the heats of the 100H. 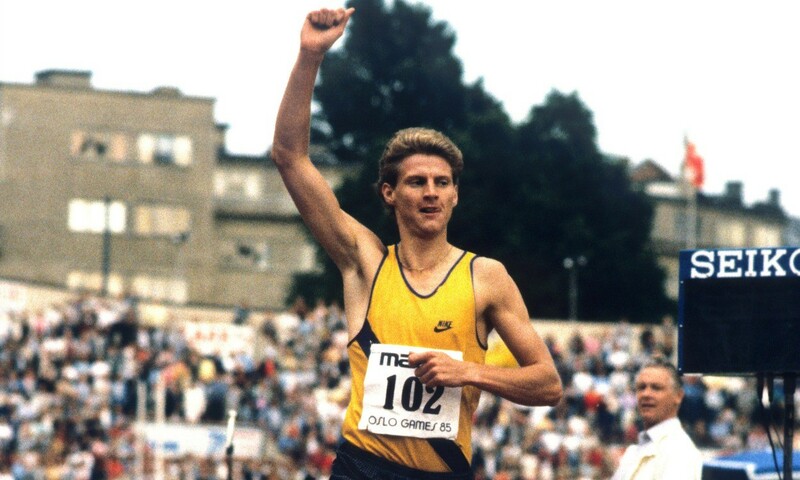 IAAF To Contact Australian Scientists Michael Ashenden And Robin Parisotto Over “Seriously Incorrect Assertions” The IAAF is most upset that the scientists accuse them of not acting on suspicious blood values when they don’t have access to the testing records. IAAF Admit Some “Rogue” Nations Continue To Have A Disproportionately Large Number Of Doping Cases The Daily Mail names Russia, Morocco, Turkey, Kenya, Ukraine and Belarus. Kenyan Athletes, Including Wilson Kipsang And Former NYC Marathon Champ Tegla Loroupe, Complete 522-Mile “Champions Walk For Peace” The walk was to raise awareness of ethnic violence in northern Kenya where cattle rustling and revenge killings are common. Actors Morgan Freeman, Michael Caine And Alan Arkin Filmed Running Scene For New Movie Includes photo. Australian Blood Experts From ARD/Sunday Times Report Respond To IAAF They stand by their work and also contend that the pre-2009 data is reliable. 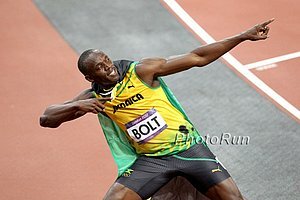 JAAA Will Consider Legal Action If Media Releases Athlete Names From Blood Database JAAA president Warren Blake was annoyed that Usain Bolt‘s name appeared in the reports although we think he should be happy/relieved since they stated Bolt wasn’t under suspicion. The Telegraph Asks “Is athletics the dirtiest sport?” No, it’s just easier to dope in sports like football and basketball where testing is a joke. USATF Representatives Say They Are Approaching The 50th IAAF Congress “Ready For New Era” The meeting in Beijing just before worlds start will include the IAAF presidential election. Unlike many countries, USATF hasn’t publicly stated who it will vote for. Startled Grizzly Bear Attacks Runners On Trail In Alaska One runner was mauled while the other ran for help. She was airlifted to a hospital, but had no life-threatening injuries. 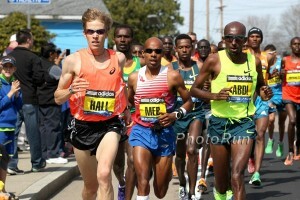 Investigation Finds Marathon Discriminated Against Hand Cyclist; Case Could Set Precedent That Affects Events Nationwide The race and hand cyclist athlete disagree over certain issues surrounding safety on the course. Get To Know Five Unsung Runners On The U.S. World Championships Team We bet you’ve never heard of several of these people – Esther Erb, Marielle Hall, Hassan Mead, Ian Burrell and Heather Lieberg. Betsy Saina Is Thrilled To Finally Make Her First WC/Olympic Team For Kenya In Her Third Try, Also Pumped To Be On Team With Her Idol – Vivian Cheruiyot Saina grew up middle class in Kenya. *MB: Eminem ran 117 miles a week! New International 10K Road Race Will Cross The Border Between The US And Mexico The race starts in El Paso, Texas, goes into Juarez, Mexico, and finishes on the border. German ARD Report Round II: Leaked IAAF Doping Files Reveal “Extraordinary Extent Of Cheating” German journalist Hajo Seppelt reports that an IAAF database of blood values shows that a third of medals won at Olympics and Worlds between 2001 and 2012 came from athletes who have recorded “suspicious” blood values (800 of the 5,000 athletes on record were marked “suspicious”). 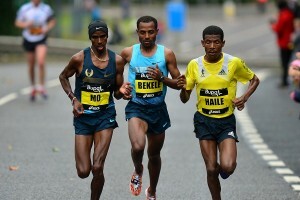 The IAAF responded, and the reports admit that the blood values alone aren’t proof of doping. Recommended Watch: View The Full ARD Documentary In English The report includes an extraordinary amount of damning evidence (hidden cameras and documents) against Russia and Kenya. Injections and doping talk caught on tape, federations taking bribes form athletes, and general corruption and apathy towards doping. *MB: Chris Solinsky is back baby! The Beginning Of The End For Women’s Sports? LRC The End Of Women’s Sports As We Know It? Is Caster Semenya The Favorite For Gold For The 2016 Olympics? The Court Of Arbitration For Sport Suspends IAAF’s Hyperandrogenism Regulations Earlier this week, hyperandrogenic Indian sprinter Dutee Chand was cleared to compete despite having super-elevated testosterone levels. More importantly, the court totally suspended the IAAF’s hyperandrogenism regulations, meaning athletes with internal testicles are free to compete as women without treatment. We break down what it means. Is this the beginning of the end for women’s sports? Dutee Chand Aims To Qualify For Rio Olympics After CAS Verdict We 100% disagree with this statement from Payoshni Mitra: “This verdict upholds the notion of gender equality in sports. … I feel this verdict will pave the way for a more inclusive, fairer sporting culture.” Letting people with internal testicles compete as women is absurd.